NSW’s strict alcohol laws introduced in 2014 have cut alcohol-related violence dramatically, but they’ve also cut off NSW nightlife. The NSW Government are moving to review the laws 2 years on, as they always said they would. Results from the NSW review will be key in the national senate inquiry that will follow. Australian Voice, the parent company of The Tourism News, will be making a submission to Justice NSW on behalf of tourism and hospitality operators. Please send empirical evidence (especially on changes in incomes, door numbers, seatings etc) to info@australianvoice.com.au. A senate inquiry, headed by senator Glenn Lazarus, will consider NSW’ findings and set precendents for other states, so it’s important that tourism operators speak up. Anecdotal evidence will also be included in the submission where possible, but there is an onus on the review to balance the facts of the economic impacts on the tourism industry with public safety. Submissions from tourism and hospitality operators in other states are welcome for inclusion in Australian Voice’s submission in order to give the NSW legislature a broader idea of the relationship between tourism incomes and alcohol. THREE National Party MPs have broken ranks on the government’s lockout laws, saying bottle shops in the bush should be able to stay open later than 10pm. Upper house MP Trevor Khan, Tamworth MP Kevin Anderson and Lismore MP Thomas George said the liquor crackdown laws were not intended to target people in the bush and tourism but both were affected. Their comments are representative of a broader feeling in the National Party that the rules on bottle shop closures should change when the laws are reviewed this year. Premier Mike Baird pre-empted the review yesterday, posting on Facebook that it would take a lot of convincing for him to change any part of the laws that were “so clearly improving this city”. Since January 2014, Kings Cross and CBD licenced venues have been required to close their doors to new customers at 1am and shut down at 3am, with the state’s bottle shops mandated to close at 10pm. Mr Khan said he believed the laws were designed for areas with a high density of liquor licences and the bush did not qualify. “It’s been an issue that has been raised as being an area of concern both to constituents and also to businesses,” Mr Khan said. Mr George agreed. “I have been advocating a review and change to the 10pm takeaway sale restrictions especially for towns that only have one hotel,” he said. Cabinet is expected to decide this week who will lead the liquor law review and what form it should take. Former High Court judge Ian Callinan QC has been appointed to oversee a review into Sydney’s lockout laws. “The Callinan Review will provide an independent, open and transparent assessment of the state’s liquor laws, focusing on the facts, to advise the New South Wales Government on the future of these laws,” NSW Police Minister Troy Grant said. The Minister also announced a roundtable aimed at ensuring the Government is striking the right balance between protecting Sydneysiders from alcohol-fuelled violence and maintaining the night-time economy. 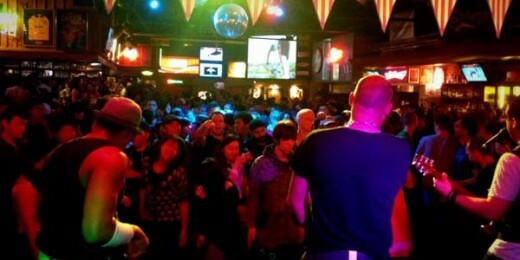 The question of whether the laws have killed Sydney’s nightlife has dominated social media over the past week. It started when Australian entrepreneur Matt Barrie wrote an online essay attacking the laws, which attracted more than 200,000 views in under 24 hours. In the essay, Mr Barrie spoke of politicians on a “moralistic crusade” turning Sydney into an “international joke”. NSW Premier Mike Baird responded with a Facebook post in which he staunchly defended the laws, arguing they have driven down assaults by 42 per cent. In his post, Mr Baird acknowledged the impending review, but said it would take a lot to convince him the laws should be wound back. Despite that, his deputy, Mr Grant, insisted the review does not have a foregone conclusion. “This will be a genuine review, there is no pre-determined outcome here,” Mr Grant said. Mr Callian, who helped set up the Fitzgerald Inquiry into police corruption in Queensland, will report back to the NSW Government in August. He will be assisted by Senior Counsel Jonathan Horton, as well as Destination NSW, NSW Police and NSW Health, Liquor and Gaming. The lockout laws were introduced in 2014 in response to a spate of fatal one-punch attacks. They affect venues in Kings Cross, Darling Harbour, The Rocks and parts of the CBD, and mean no shots after 10:00pm, no new customers after 1:30am and no alcohol served after 3:00am. TAMWORTH’S strict liquor accord could be the way to stop alcohol-fuelled violence across the nation. Senator Glenn Lazarus will chair a Senate inquiry into alcohol-fuelled violence, with the goal of developing a national strategy addressing the issue. Senator Lazarus said the measures taken by Tamworth to crack down on bad behaviour, such as ID scanners, 12.30am lockouts and not selling energy drinks after 9.30pm, were “really good ideas”. “We don’t have any preconceived ideas and we want to investigate all avenues,” he told The Leader. Senator Lazarus said he was “buoyed” by the results in areas that had introduced tougher liquor laws, such as Tamworth, Newcastle and Kings Cross. “They’re seeing some really good results and I’m hoping the inquiry will bring all the solutions to the surface, so we can put them into place nationally,” he said. Senator Lazarus said it seemed as though every week there was a “sickening case” of people being killed or injured as a result of an alcohol-fuelled attack. He has been personally affected by the issue. A few months ago, he received a phone call in the dead of night from a hospital, informing him his youngest son had been glassed from behind. “Thankfully he is now on the mend,” he said. Developing a national strategy and prompting action from the federal government are key goals of the inquiry. “States and territories are dealing with the issue of alcohol-fuelled violence in different ways – some states are doing more than others,” Senator Lazarus said. 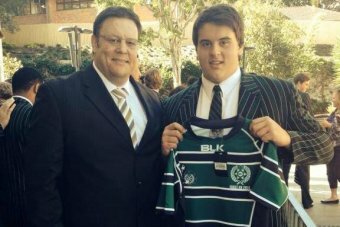 Independent senator Glenn Lazarus will push for a parliamentary inquiry into alcohol-fuelled violence, saying he has been spurred into action by the alleged assault of his son. Senator Lazarus alleges his son Hayden was hospitalised after being glassed from behind at a bar in December last year. He said it is one of the reasons why he wants a federal inquiry looking at ways to reduce violent behaviour. “The point is it can affect anybody, this alcohol-fuelled violence, I think society has brought this upon itself,” Senator Lazarus said. Senator Lazarus told reporters at Parliament House his son was treated at Wesley Hospital and had to have a tooth reconstructed, as well as receiving a number of stitches, but was otherwise “fine”. “Nothing can come good of a phone call in the dead of night around 2am, and as soon as I heard my mobile phone ring, my heart sank,” he said. A spokesperson for Queensland Police was unable to comment due to privacy reasons, with Senator Lazarus declining to further outline details of the allegation. While the issue of lock-out laws and sentencing for assaults is primarily the responsibility of the states, Senator Lazarus said a Senate inquiry could help spread ideas around the country to reduce violent behaviour. It follows the death of Queensland teenager Cole Miller, in an allegedly unprovoked one-punch attack in January. “My son, who was glassed, actually knew Cole Miller, and so my son’s incident and the Cole Miller incident certainly brought it crashing down on me that this is a real issue,” Senator Lazarus said.